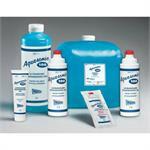 Aquasonic® 100 Ultrasound Gel is the most widely used gel for medical ultrasound and is recommended for procedures where a viscous gel is required. Aquasonic Clear Ultrasound Gel, used for medical ultrasound procedures, is the same formula as Aquasonic 100 Gel, without fragrance or color. 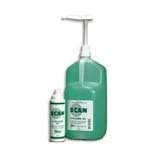 The dual-viscosity formula allows Scan Ultrasound Gel to be applied as a gel and scanned as a fluid. 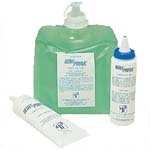 Used for procedures when a less viscous gel is desired. 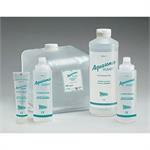 Polysonic Ultrasound Lotion is hypo-allergenic, bacteriostatic, and non-staining. It has been formulated to provide superior soundwave transmission. The high viscosity Ultra Phonic Conductivity Gel resists breakdown and thinning from salts in perspiration and body heat. 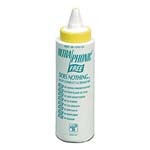 Ultra Phonic Free Conductivity Gel is completely FREE of added color, perfume, sodium, glycerin, propylene glycol and harsh preservatives. 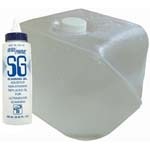 Ultra Phonic SG Scanning Gel is a low viscosity gel that is pourable, highly lubricating, odorless and non-staining. 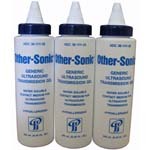 The generic equivalent of the expensive blue gel, Other-Sonic Transmission Gel is a water soluble contact medium for ultrasound transmission.